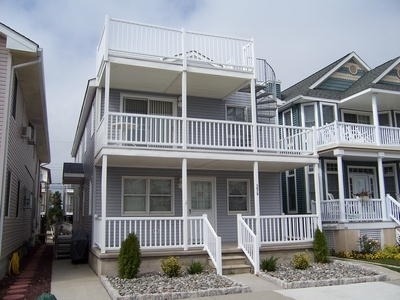 Deep Southend 3 bedroom 2 bath second floor with shaded front deck and sunny rooftop deck. New for 2014, new living room furniture. Upgraded electrical system and high speed internet. Off street parking, outdoor shower & very close to the beach. No Beach Tags required right next door at Corson s Inlet State Park, only a few blocks away. RENT BOTH FLOORS and bring the whole family! 1st floor may also be available.